Screenflex divider fabrics are 100% polyester fiber that makes them Colorsfast to standard wet and dry cleaning procedures, as well as highly resistant to most spot cleaning solvents. Avoid excessive brushing or rubbing during cleaning practices to prevent fuzzing of the fabric surfaces. 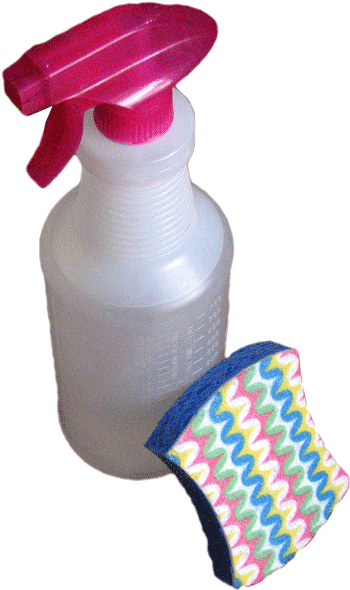 As with any fabric, a small area should be pre-tested when applying a cleanser. For general dirt or grime spots, sponging with the foam from a mild detergent or upholstery shampoo will remove the accumulated dirt and grime. Room temperature solution should be sufficient. Rinse well with a clean sponge to remove traces of the water-based cleaning agent. The fabric will dry very quickly but avoid over saturating the panels. Fabric Cleaning Instructions VINYL: Common dirt and stains may be removed by rubbing lightly with a moistened cloth, sponge or stiff bristle brush using a mild soap, detergent or non-abrasive cleanser. It is important that clean water is used on a constant basis and that the vinyl is towel dried. Melamine Marker Board Use Dry Erase or Water Based Markers Only! Occasionally, a part may need to be replaced. We designed the room dividers so that all parts are replaceable. You may contact our customer service department to determine the correct part and cost, or simply print one of the parts lists below and give us a call.To order replacement parts, call: (800) 553-0110 or email: Screenflex Customer Service. For Standard and Wallmount dividers, print this guide. For Heavy-Duty dividers, print this guide. For Light-Duty dividers, print this guide. I didn't order an option when I purchased my room divider. Can I install them myself? Yes, most of the Screenflex options can be installed after your purchase. Please give us a call and we will be happy to help. Please call (800) 553-0110 or Email Screenflex Customer Service.